This week we have a strange little alien visitor - guest host Courtney Coulson! 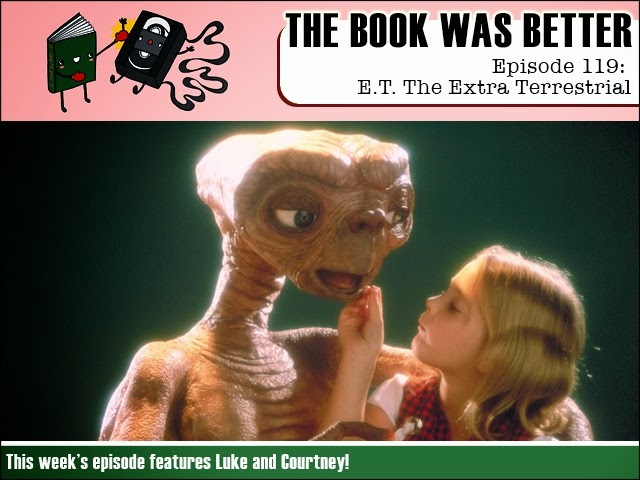 Coincidentally, we also read the junior novelization of the special edition of E.T. the Extra Terrestrial! Cynical cash-grab or heartfelt update? There's only one way to find out! FPcast! The Fruitless Pursuits Podcast for March 30th 2015! While We're Young! This week we talk all sorts of crazy stuff like the Wortho-Bingo Baby, the first reveals of Luthor, Deadpool, and The Thing. X-Men. X-Files. The new James Bond. And we review the Ben Stiller and Naomi Watts vs Adam Driver and Amanda Seyfried age gap comedy While We're Young!